Nutso – you’d think he would have brought a camera and proper equipment… such baloney. How about a modern trek around that place/with a documentary? Of course they could fake that too.. Geez. Send John le Bon there! He’s not far, I think? Or Rollo! Another twist, or distortion of the ridiculous psy-op….he’d been ill for 5 weeks with peritonitis. “according to one of his friends” who’s probably skyping him this very moment. That’s the English spirit, press on with a stiff upper lip when all the cards are stacked against you…. 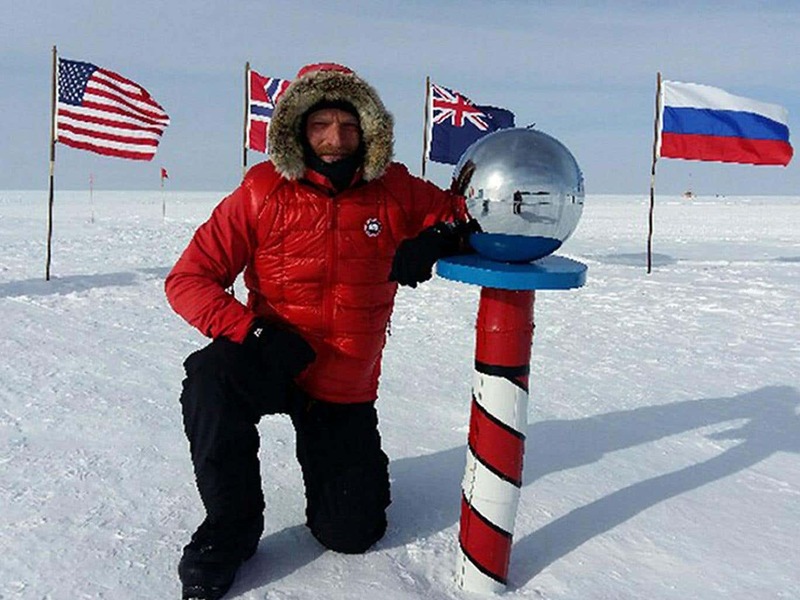 Between October 2013 and February 2014, Saunders and partner Tarka L’Herpiniere completed this 1,795 mile, 108-day cross-Antarctica journey on foot. Following the course of Captain Robert Falcon Scott’s ill-fated 1911-1912 expedition (the entire crew perished attempting the treacherous route), the pair set out from the coast, eventually arriving at the South Pole to turn right around for the return journey. Although they had to call for a resupply on day 70, a decision that Saunders counts among his most difficult ever, this marked the longest human-powered polar journey in history. I see another Polar medal being awarded…. Oh dear, oh dear. Canada Goose will be disappointed. “Mr Saunders, 40, was forced to abandon his mission to cross Antarctica unassisted after ‘ferocious’ weather conditions left him without enough food to complete his journey…..He had just 13 days of food for the remainder of the expedition, which he expected to last a minimum of 17 days if conditions were perfect….Mr Saunders had planned to pass the South Pole with at least 20 days of rations in hand, ahead of the 17 day final push. As part of the rules he was not allowed to take on more supplies at the pole. It’s all looking very hoaxy. No photos of all those “scientists” at the South Pole with Ben?